Jules Verne imagined using a cannon to send humans to the Moon. Now one could be built to send cargo into Earth orbit. The Quicklaunch project, above, plans to put into reality Verne’s 19th Century dream of using a cannon to launch space vehicles, though in this case it will be used to send cargo into Low Earth Orbit (LEO) rather than humans to the Moon. The cannon, known as the Quicklauncher, will be submerged 183 metres (600 feet) under water. The initial scheme is to build a 400-metre (1,300-foot) long QL-100 launcher to carry payloads of 45 kilograms (100 pounds) into LEO. To benefit from the slingshot effect of the Earth’s rotation, it would be located near the equator. It would cost $50 million (£32 million) to build and be capable of launching ten vehicles a day. To find out more check out issue 4 of All About Space, on sale now. 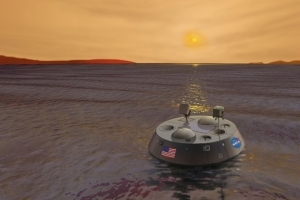 We take a look at the Titan Mare Explorer, humanity’s first sea-faring spacecraft. The successor to Hubble will change the way that we see the universe. 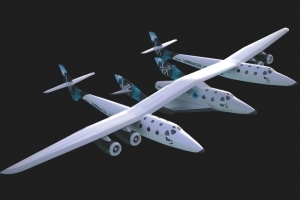 Find out about Virgin Galactic’s amazing new spacecraft right here. How did lunar astronauts survive the extreme temperatures on the Moon?